Martin Heinrich of New Mexico wrote on Twitter. Later that evening, agents brought him back to the hospital when his health appeared to worsen. But now, as more children cross the border, "We're doing dozens of hospital trips every single day with children that have fevers or manifest other medical conditions", McAleenan said Wednesday. After the two deaths, the government announced that it would conduct additional medical screening for children and consider other changes. A US congressman later identified the boy as Felipe Gómez Alonzo. Nielsen said that in the last fiscal year there were six migrant deaths in custody, but no child had died in Border Patrol custody for more than a decade. U.S. authorities in the state of New Mexico say an autopsy performed on the 8-year-old Guatemalan boy who died in USA custody shows he had the flu. Felipe was eager to go, an older stepsister who also lived with them said in a phone interview Thursday. According to local newspaper Pensa Libre, the father and son were detained on December 18 after crossing the US border in El Paso, Texas. At 1:20 p.m., the child was "held for continued observation" after doctors found that he had a fever of 103 degrees Fahrenheit. The child, along with his father, was then taken to a holding facility at a highway checkpoint. They had a hot meal, according to CBP. At about 7 p.m., agents helped clean up the boy's vomit. The ministry said it will provide assistance and consular protection to the father and assume responsibility for the repatriation of the boy's remains. The child later lost consciousness during transit and shortly after was declared dead. The Guatemalan government was notified and is in contact with the boy's father and family, the statement added. "Lack of accountability and a culture of cruelty within CBP have exacerbated policies that lead to migrant deaths". He says the agency is seeing more children than ever in its custody. "This is a tragic loss", CBP Commissioner Kevin K. McAleenan said. 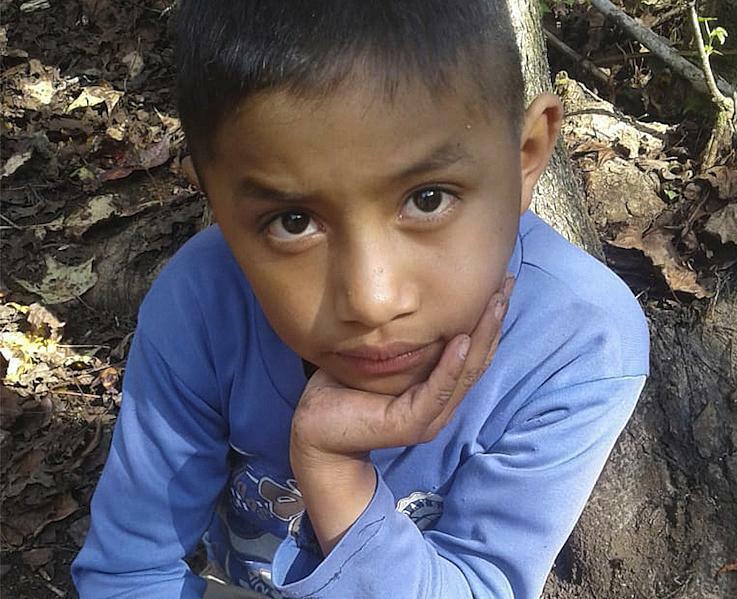 An 8-year-old boy from Guatemala died on Christmas Day while in US Border Control custody. In her letter, Feinstein cited the deaths of the two children along with reports of a hospitalized 5-month-old and murdered children in Tijuana. Meanwhile, Homeland Security Secretary Kirstjen Nielsen warns the country's immigration system is at a "breaking point". Instead, 8-year-old Felipe Gomez Alonzo became ill and passed away. That includes more than 68,000 families and 13,981 children who were not with their father, mother or family members. "I need to see him soon and I'm very sad because he died". He died at 11:48 p.m. Monday, the agency said. She said that was a 20 percent increase in rescues from the year before. Jakelin Caal's body was flown to Guatemala City's global airport Sunday afternoon and received by representatives of the country's Foreign Ministry. Two German tourists were stabbed to death at a hotel in the popular Red Sea resort of Hurghada previous year . A bomb hidden beside a wall went off as the bus carrying 14 Vietnamese tourists was passing.